August 12th has been considered "World Elephant Day" for the last few years. It's an opportunity for the global community to celebrate the magnificence of Asian and African elephants and for all of us to rededicate ourselves to ensuring a world where elephants and people live in harmony. For communities and countries in Africa, every day is elephant day--as rangers fight to stop the poaching that is slaughtering elephants across the continent; as communities struggle against lawless gangs that threaten both their security and their livelihoods; as governments struggle to stop the corruption and criminal syndicates that fuel the illegal wildlife trade; and as governments and conservationists fight to stem the greed and desire for ivory by closing ivory markets in multiple countries. An African elephant pictured in Uganda. WCS works with local, regional, and international partners to help combat the illegal wildlife trade. Photo by Julie Larsen Maher ©WCS. These efforts must be scaled up and continued 365 days a year. On the government and policy front, there have been some recent positive moves. The Obama Administration in the U.S. should be congratulated this World Elephant Day for taking several laudable steps. In 2013, the President issued an Executive Order to Combat Wildlife Trafficking and in 2014 he issued a National Strategy for Combating Wildlife Trafficking. More recently, in response to the growing poaching crisis that continues to threaten African elephant populations, President Obama followed up on his national strategy while in Kenya last month. There he announced the publication of an excellent proposed rule (known as "4(d)" for the clause in the legislation in which it appears) by the U.S. 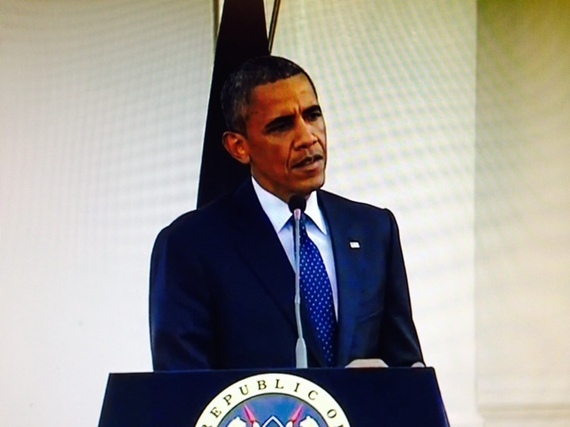 Fish and Wildlife Service that will result in a near-total ban on the domestic commercial trade of African elephant ivory in the U.S.
Screenshot of President Barack Obama From White House Live Feed. President Obama emphasized the need for tighter controls on ivory sales in the United States during a visit to Kenya in July 2015. It is critical that other governments, including those of China and European countries, also close their ivory markets. It is very encouraging that there have been recent statements by China that it plans to shut down its domestic ivory market. Hopefully that will happen soon. 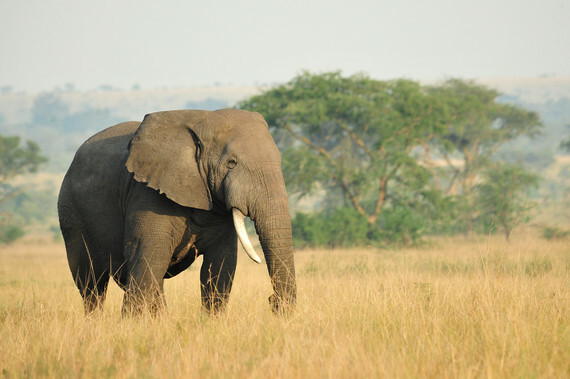 African elephant range countries continue to bear the brunt of the scourge of elephant poaching and ivory trafficking. They have asked the world to end the trade in ivory and devalue its economic worth by closing markets. When the member governments of the Convention on International Trade in Endangered Species (CITES) meet next year, they have a real opportunity to take further action on this crisis. Meanwhile, on July 30th the United Nations General Assembly adopted a landmark resolution that targets the global problem of wildlife trafficking, including in elephant ivory, calling on all 193 UN member states (governments of the world) to take a series of actions to "prevent, combat, and eradicate the illegal trade in wildlife." 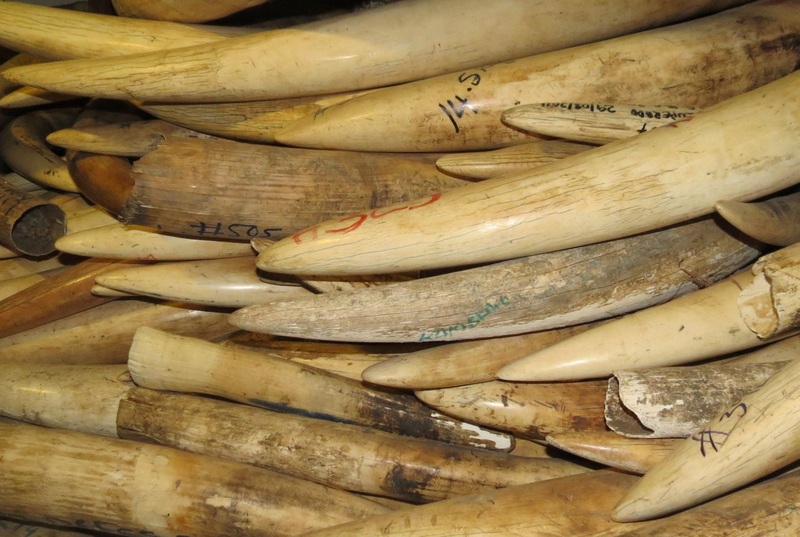 In many parts of Africa, poaching of elephants remains out of control, with criminal syndicates still working through corrupt officials to traffic massive quantities of ivory, mostly to Asia. Photo Credit: ©WCS Mozambique Program. The resolution recognizes the intrinsic value of biological diversity to human wellbeing, while expressing concern over widespread poaching and trafficking. The resolution says the increasingly sophisticated networks of organized crime involved with trafficking threaten human health and safety, security, good governance, and sustainable development. The resolution contains a number of vital actions for countries to take, including strengthening their enforcement and prosecutorial efforts. But what is most significant is that for the first time, the global community at the highest level is standing up and recognizing wildlife trafficking as the transnational organized crime that it is and committing itself to attacking it with all the tools used to combat other forms of trafficking. 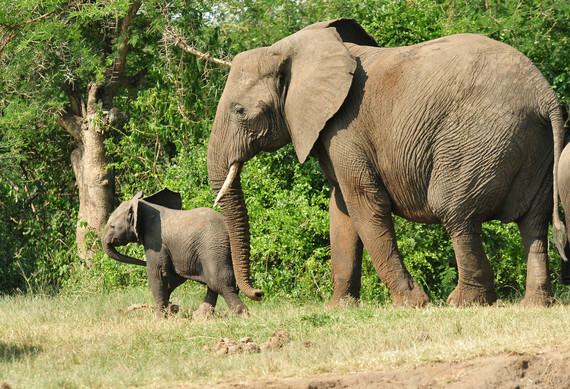 African elephant range countries continue to bear the brunt of the scourge of elephant poaching and ivory trafficking. Photo by Julie Larsen Maher ©WCS. All of these commitments by governments must be followed up by real action, at all levels, to stop the poaching, stop the trafficking, and stop the demand. We must all work to see these commitments fulfilled - by governments, conservation organizations, intergovernmental organizations, private industry, and citizens worldwide. If - and only if - we can do all of that, we have reason to hope that when the world celebrates World Elephant Day next year we will be able to celebrate increasing and more secure elephant populations across Africa and see the possibility of their recovering across their range in the not too distant future.